Republic of France. 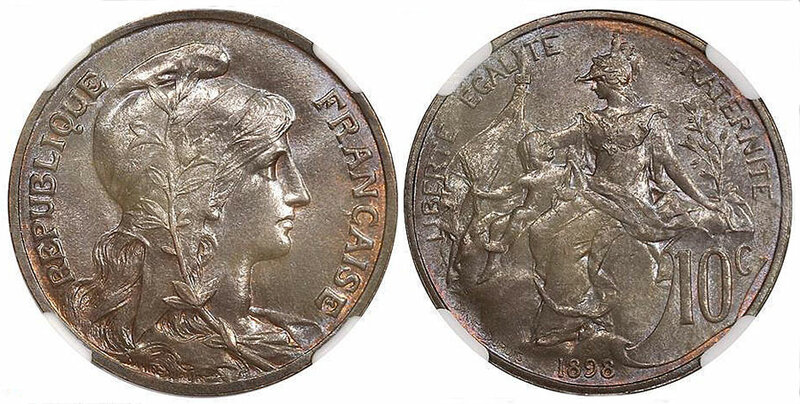 Marianne as Liberty, obverse, with representation of France protecting a child on the reverse. Minted this first year of 1898 without mintmark, as all are (Paris). Struck until 1921 with the exception of the WWI years of 1918 & 1919. 4 M struck in 1898.Exceptional design by Dupuis. Physically not in the Moneta Museum.